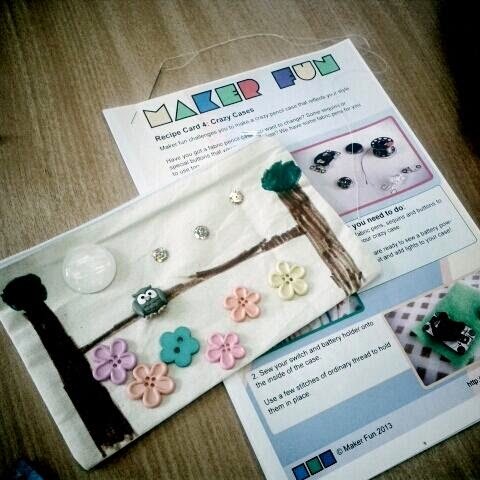 'Crazy Cases' kicked off the new series of Maker Fun Events earlier today. Some fabulous designs. This one before we added some LEDs to brighten owl's night sky! It was a tricky session sewing with conductive thread and sharp needles! Did you know dads can sew too. Look out for the high-lights on the next Maker Fun video coming soon. This design reminds me of that cute Pixar animation called 'For the Birds' (2000).